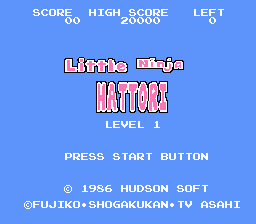 Ninja Hattori-kun is an action platformer game for the Nintendo Entertainment System. 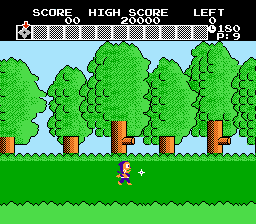 The game is based on a Japanese comic and animation with the same title. 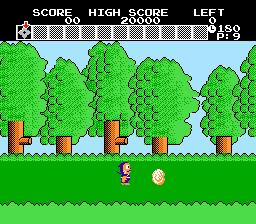 This patch fully translates the Japanese game Ninja Hattori Kun - Ninja ha Syugyou de Gozaru for the NES into English. I’ve translated every bit of Japanese text into English making it 100% fully playable. Download now and enjoy Little Ninja Hattori!! !